Now that the cabin is under roof, it is time to start closing it in. I will apologize in advance for not having the foresight to always have a camera with me. There are a few steps that do not have "during" pictures. I'm going to back up to Part 3 for a minute. 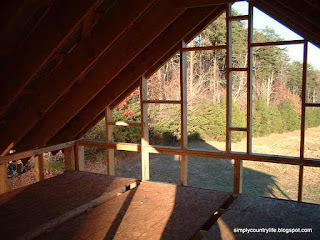 While we were building rafters to support the roof tin we also framed out the upstairs loft walls. 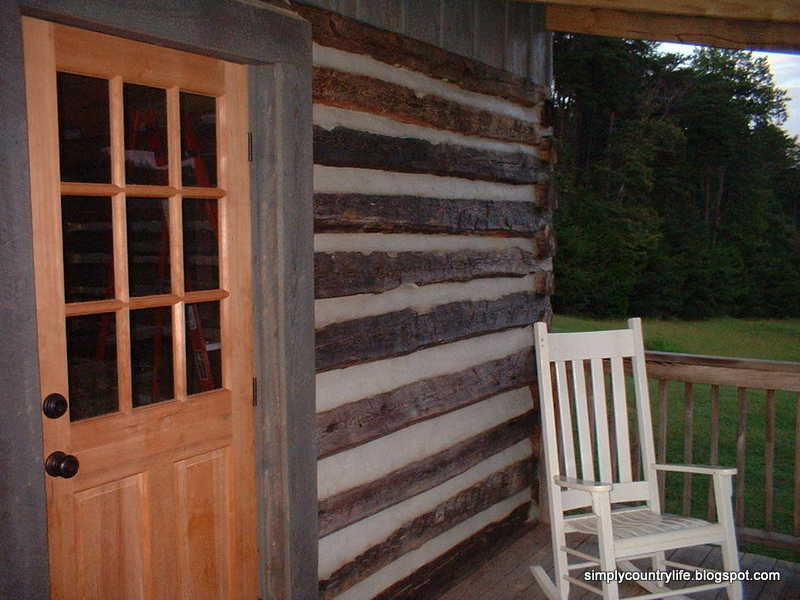 Here's a view from the inside downstairs looking out of the front door. At this point, I was beginning to have my "moments". I didn't think we would ever get finished with this project. I did not sign up for this. 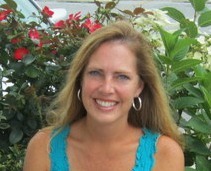 I really wanted my beach life back. Playing in the ocean seemed so much more enticing than spending another weekend in the blistering sun or freezing cold with a hammer and a saw. As discouragement was setting in, my husband shows up with a pair of rocking chairs for the front porch. WHY? 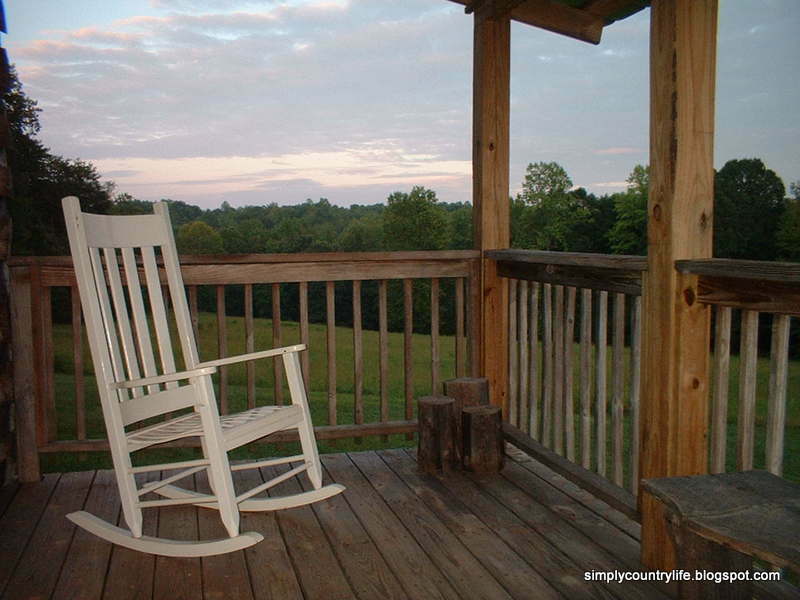 Why rocking chairs and why now? If only they were beach chairs. He did have a reason. He sat me down in one of the chairs and had me envision what it would be like to be sitting here, one day, when the construction was complete. I guess it helped a little, if I closed my eyes really tight. Enough dreaming, back to measuring and cutting. 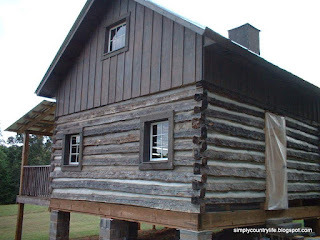 We had purchased old windows that we refurbished for use in the cabin and needed to cut openings to fit two smaller windows on both sides of the chimney upstairs along with a larger window for the opposite wall upstairs. 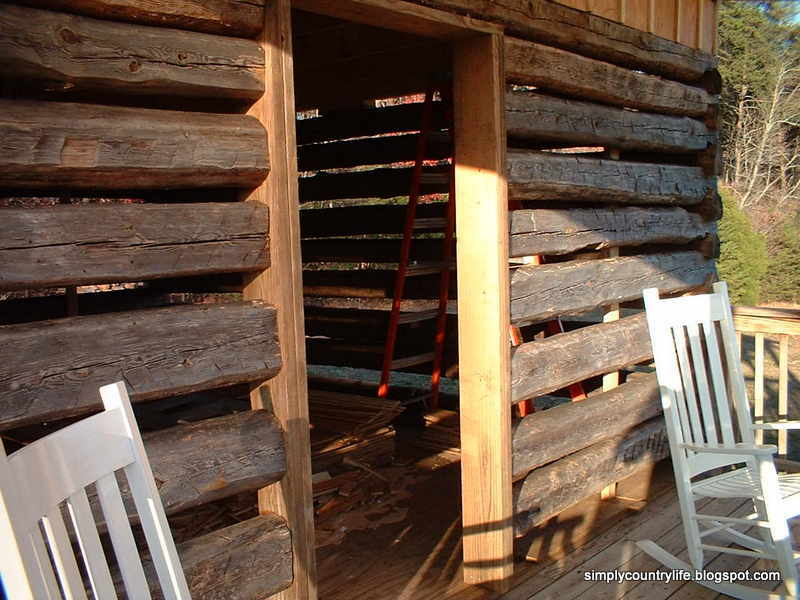 We also needed to cut four openings downstairs in the log walls to fit two windows on each side of the cabin. 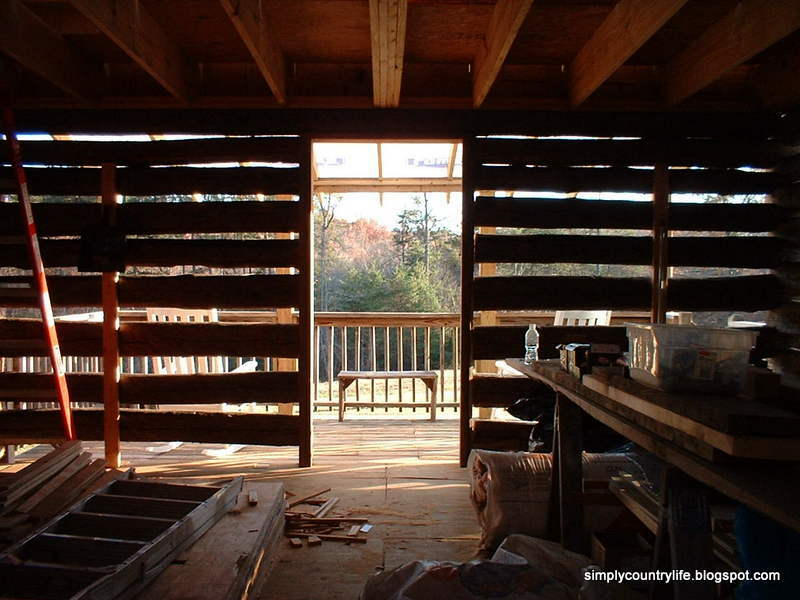 Once the openings were cut out we framed them in 2x6 lumber and hung the old windows. 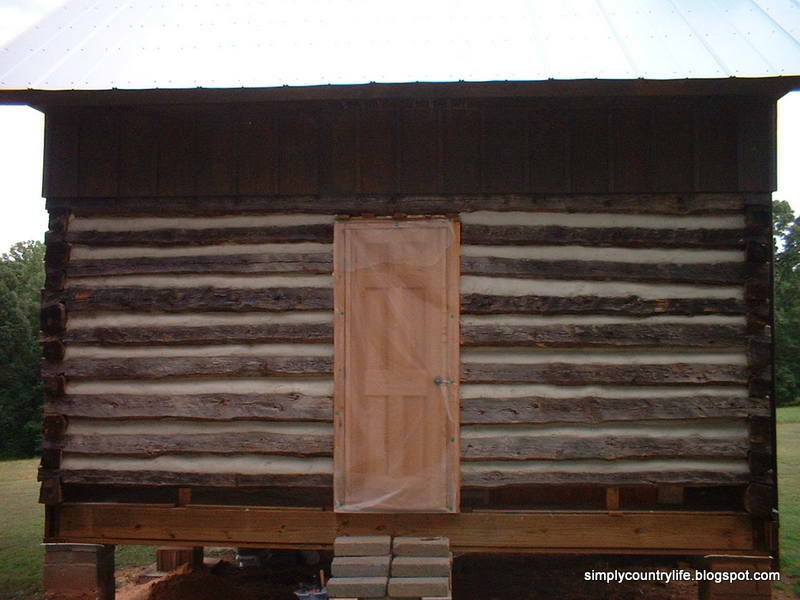 We also framed the openings for the front and back doors with 2x6 lumber and installed both doors. 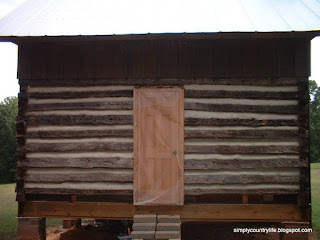 This is the part with the missing pictures, so here are a couple that you can see the front and back doors in, however, the chinking in between the logs is already done in these pics and we haven't really done it yet. 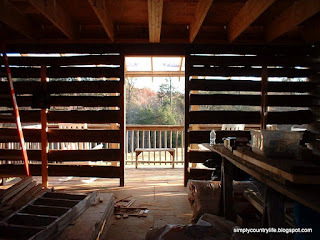 Now we were able to start closing in the upstairs walls with really heavy, thick plywood and then we proceeded to cut battons to add some character to the plywood walls. Then we went on a hunt for a stain that would closely match the log color and were not successful at finding any, so we mix our own blend of three different colors to achieve what we thought was a pretty good match. 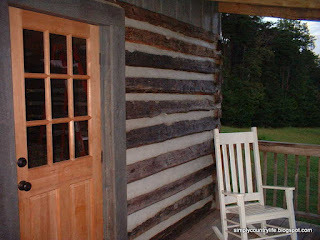 We painted the plywood and battons with our stain blend with a couple of coats to make sure it was sealed and protected. 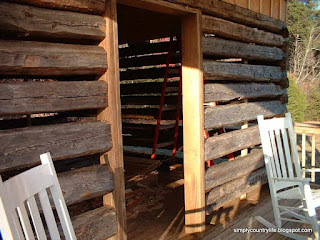 The next step to close the cabin in is the chinking and I will share that with you next time. Sometimes it helps to look back at where you started to see just how far you've come. If you'd like to look back to where we started go to Part 1.